Seasons are turning and the 4th of July Committee’s attention is turning to our upcoming celebration. Some things never change. For example, once again Leapin’ Lena will be back for the parade on July 4th! This year with the help of the AE/MS students, the parade theme has been chosen. It is “Sports”. This includes any sport…winter, summer, any sport you choose. How about doing a sports related family float…like camping, fishing, hunting, skiing, golfing? You pick it! Businesses, organizations and neighborhood groups also are encouraged to enter a float. It’s free! A Grand Prize of $250 will be awarded to the float winner! Don’t forget also that cash prizes will be awarded to three other categories: antique vehicles, other vehicle types and animals. Andover youth baseball team 1980. Do you recognize any of these fine sportsmen? New this year, the committee has decided to try a mini-midway on Carr Field which will include lawn games, games of skill, refreshments and possibly some other entertainment? Do any of you remember the old July 4th Midway of days gone by? Also new this year, watch for our student designed program cover. As well, we are working on the possibility of demonstrations under a big tent on the Green which might include dance schools, karate schools, yoga, fitness and more. Bring your appetite! We have recently been notified by the Andover Lions Club that their popular pancake breakfast will once again take place in the school gym! Yea! The committee is in the process of booking entertainment on the Green during the afternoon after the parade. Also, booking vendors, nonprofits and parade participants. Keep an eye on your mailboxes as registration forms will be mailed soon. Don’t forget our fundraiser on June 6th! Nick’s Other Band and Diamond Special will be performing at the amphitheater by the school. The committee is working on one more act to complete the evening. 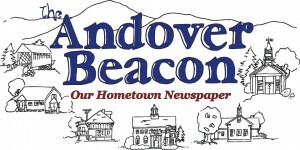 We are always open to ideas and suggestions to make the 4th in Andover better, so feel free to contact us or attend one or more of our meetings. For more information, contact Doug Phelps (phone: 977-0037 or email: Doug.phelps80@nullgmail.com), Donna (French) Smith (phone: 735-6131 or email: donnafrench@nullcomcast.net), or Beth Frost (phone: 735-5562 or email:bfrost99@nulltds.net). Also, check out our Facebook page to submit suggestions and see some of the activities underway.